This recently renovated waterfront one bedroom cottage is located in a quiet community called Banks O'dee. Located one hour from DC and close to wineries and historic Virginia. The house itself offers a view of Cuckold Creek and Perry Branch. We have a large pier that is shared with our home next door, boat ramp and swimming off the pier. You’ll find an abundance of wildlife here. It's not unusual to be sitting out in the yard, near the pier, and see bald eagles, osprey, swans & great blue heron doing their thing. Frequently, you will see deer standing along the side of Banks O’ Dee Road. Absolutely loved this place. Super clean and had everything we needed. The view and sitting outside on the dock was just lovely. Brought our dachshund who also enjoyed his stay. Will book again the next time we’re in town. Absolutely loved this place. Nice and cozy for a little get away. And the view is gorgeous. It was a very nice, clean, quiet and peaceful place to stay. It met all of our needs. We would stay here again. The home was beautiful and very well-maintained. Wonderful location, and I especially loved the back patio area for its great view. 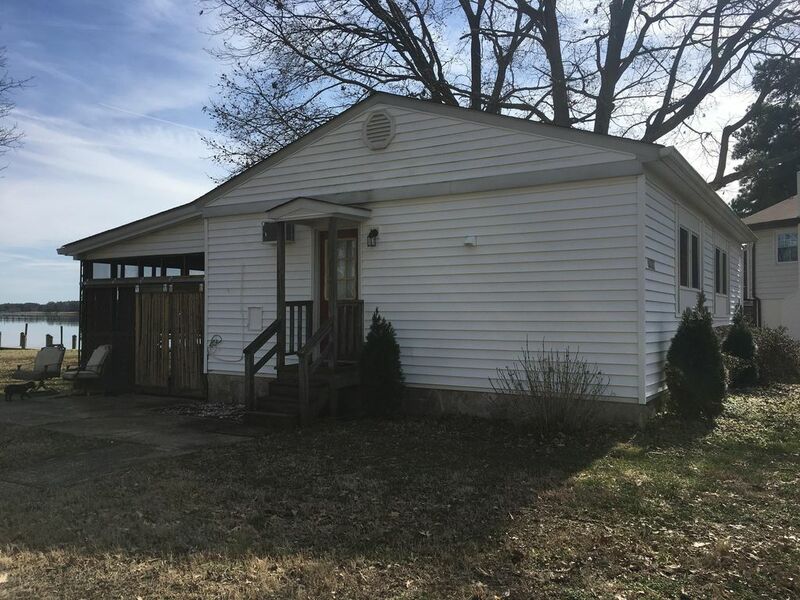 It’s cozy but has everything you need- plenty of comfortable outdoor furniture to enjoy the water, the kitchen was updated and had plenty of appliances, the living room was comfortable with a nice TV, and the bathroom has an amazing deep tub. Perfect for a relaxing weekend! The only downfalls were the super close proximity to Tina’s home and the neighbors (not a problem necessarily, I just didn’t realize before going) and the WiFi. Tina mentioned the internet was spotty but I couldn’t ever get it to work in the first place, despite many attempts throughout my stay. It was only a problem because I was planning on watching movies on my laptop, and also ended up using a bit of my data on my phone. Planning to return for sure.